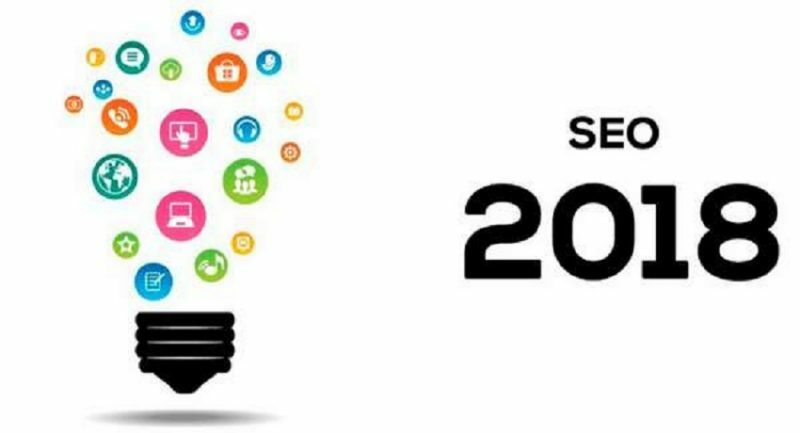 2017 was a very important year in terms of SEO activities, with the refinement of numerous techniques, aimed not only at search engines but also at social media. And 2018 will make no difference, between the consolidation of tools now widespread and the attention to new fronts. Whether it’s the intelligent use of call-to-action or maximum tagging, a good SEO job will allow you to get important results in terms of indexing, also based on the latest specifications made known by Google. What are, therefore, the trends to keep an eye on for the 2018? Loading speed and mobile compatibility are among the features to which Google is providing more weight in recent months, at least in terms of indexing. From an SEO perspective, it is, therefore, necessary to lighten as much as possible the sites and especially the landing pages, optimizing the images, avoiding the automatic loading of heavy media such as video and, of course, choosing hosting services and particularly high-performance bandwidth. But it’s not all, because search engines are also benefiting those explicitly mobile-friendly sites, better if with a responsive design rather than the provision of a specific mobile version. For this purpose, it is advisable to insert the “viewport” tag within your destination and, if not yet done, redirect the “m” versions of the site to the most modern and responsive ones. It is very important, to increase your chances on search engines, to identify the most appropriate keywords for your site. Search engines reward targeted keywords, while they tend to penalize the bad custom of filling the destination of their pages with a disproportionate number of keys, with the hope of attracting incidental traffic. The chosen keywords, of course, must be inserted wherever possible, paying particular attention to the main Meta page and to the title. Even the individual publications must be appropriately edited, for example by providing the insertion of paragraphs titled with keywords – that is the various H1, H2 and H3 – as well as paying attention to the images. The name of the file must always remember the subject shown – for example “cane_labrador.jpg” instead of “DSC01234.jpg”, then the relative title and the appropriate ALT attributes will have to be inserted. It is not uncommon, especially when managing an editorial site or a large portal dedicated to e-commerce, to find many duplicate pages in the archive. These may represent a duplicate in terms of URLs – such as the various versions ” -2.html ” – or topic. It is therefore necessary to eliminate the supernumerary versions, preserving the one that has obtained greater positioning on search engines. The page should not be simply deleted, to avoid a 404 error it is better to prepare a redirect to the content that was decided to keep. Furthermore, one can act at the robot level with the disallow directive. They represented one of the fastest growing resources in 2017 and are likely to achieve the same success in 2018. Call-to-action is essential not only to engage the user, but also to act directly on conversions and frequency rebound. Care must be taken, however, because search engines reward the instrument if it is well packaged, i.e. when it does not expire in more explicit baiting. It is therefore important to choose links that actually have a relevance to the theme, in order to share the same keywords, as well as to invite users with informative rather than sensationalistic messages. Useful is the use of words such as “Discover”, “Try”, “Download” and “Book”, better if with a text-only link, more understandable by search engine crawlers instead of graphical buttons. Another front on which to pay attention is that of the insertion of the nofollow in external connections, lately often abused. The objective is not to exclude any competitor from indexing activities, but to create meaningful links. Google, for example, rewards the use of nofollow when really necessary, for example when an external link is likely to point to a resource frowned by the same engine while punishing the abuse. In the end, just follow these best SEO tips 2018 to start improving your online presence, because being there today is essential, but positioning it, even more, to begin to convert.